So hi all. What’s been going on? As the title to this post says I’ve been busy, busy. At one time I was posting here on this blog nearly every day. Then I found my way to attempt book writing and I was caught up in the excitement of something new. I figured maybe it was time for an update. The books have not made me a millionaire yet, but I do have a few pennies that I didn’t before. I’ve managed my way to completing six books now. 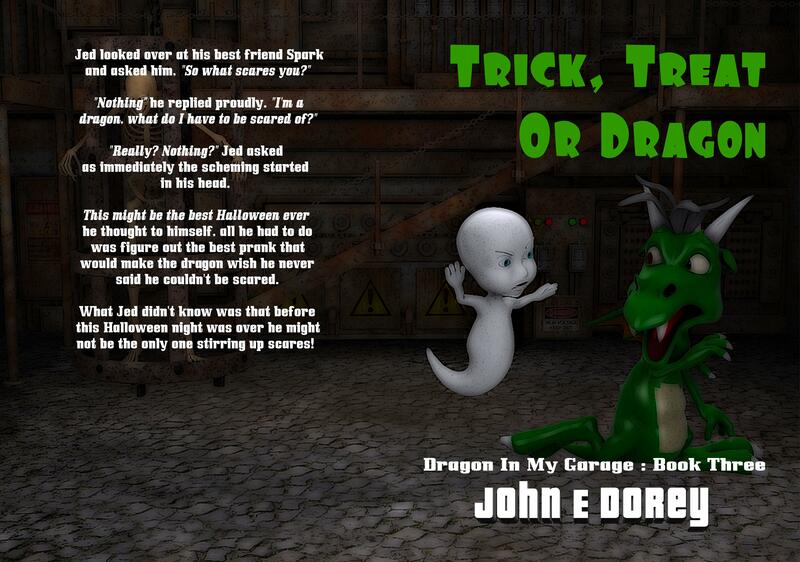 Three in the Dragon in my Garage kids series I started with along with a short companion story that I offer free to hopefully interest people in the others. I’ve also published two rhyming picture books for smaller kids about a friendly, imaginative monster. I have big plans for this year too. A couple new series, two more dragon books and an attempt at writing for an older audience with a sci-fi novel. Some of the reason I haven’t been blogging here was I was trying to decide where I wanted to go. Being that I want to let people know about the author stuff this blog didn’t quite fit. It was designed originally as a place I could write, vent and just be creative with complete anonymity. I even let my address lapse so it’s jedsplayhouse.wordpress now. Did I want to keep blogging here, create a new page or change the blog name? I couldn’t decide. In the meantime I still found a way to be creative. 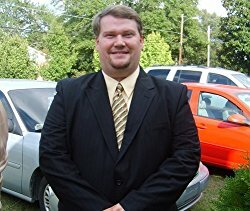 I started a new site to help out fellow authors I met and hopefully myself. It’s called The Jed Says and is a place to see books for kids promoted, reviewed and lots of other great info. Would love to have you’ll check it out. I finally decided to establish a place those that read my books and wanted to know more about my author side could go to. It’s not a blog necessarily, it’s more an advertising, informative site under my real name John E. Dorey. There you can find out about all my books and future projects. Also I don’t have to constantly push them here when I have a separate author site. So that’s what I’ve been up to. What’s everyone else been doing? Have you missed me? Actually don’t answer that. Just stop in and say hi and I’ll be happy. See you soon with my next post. You know it really shouldn’t be this difficult to blog. 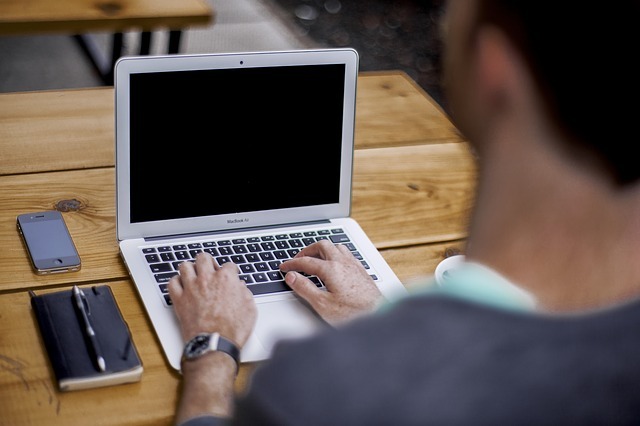 In the last couple weeks I’ve fallen into a rut when it comes to blog posts. I have a list of excuses that are good ones, some animal related and some family related but I won’t bore you with the details. Then of course there is a little project I took on with writing my own book series. As I said in an earlier post, writing is the simplest part of the whole process. It’s everything after that becomes an ordeal. It’s the process of marketing that is mainly a hassle and pulls you away from the things you enjoy but if it’s not done you may find yourself and your book buried under the mountain of new releases in the days following. I’ve worked on growing my twitter following, my Facebook likes on the book series page and even put up book trailer videos on YouTube. All were not bad to do just time consuming. I’ve spent time on boards about writing trying to learn any ways to market my product other than what I’ve already done. The thing so far I’ve been the worst at is face to face marketing. It has been suggested I go to the libraries and schools in my local area to talk about my book, possibly set up a signing or just talk to a class. This is a great way to create a buzz locally that will hopefully lead to some reviews and spur sales. Sounds great other than the fact I work a full time job spending 50+ hours most weeks in another state. How can I find the time to push my book when I can’t even find the time to mow my grass? Just the life of an aspiring writer I guess. And yes I know I missed this past week on my comic (first time since it started) but I hope to get back on track this coming weekend. Maybe even participate in a few of the flash fiction challenges I enjoy. They say timing is everything but I think time is, not timing! Everyone could use a little more time. With the little time I can find I am working on book three and have hinted at the fact I want it to be Halloween themed. Here is a possible illustration to be used in the book. Yes that is the evil wizard and he has a troll just sitting waiting for orders. What do you think? Does it interest you to where the story may lead? If you have been along for my blogging the last couple of years you may know how much I enjoy the scary stories and a touch of horror. I’m hoping to reflect this in my new book but still keep it fun for kids. I also have been working on the cover for the third book along with the backcover blurb. What do you think? Any changes I should make? I’ve got the story idea in place and most of the first chapter done. I think it’s going to be another fun installment and build on the legend of Spark. I have a lot going on right now but I’m trying not to let it detract me from what I enjoy, the writing and sharing with other bloggers. Be back soon. I attempted a new project this week. Since I released my first book I have been gathering ideas and reading a lot about how to market your writings. It led me to the discovery of what is called a book trailer. If you do not know what that is (and I didn’t) it is a short video highlighting your book just as a movie trailer promotes the movie it is about. When I first saw this trend I thought that’s a good idea but it’s not like I could do that or my book really even needs one. Well the more I looked around and then discovering these trailers can be made by others for cheap I decided I might want to look into how to do it. After all if someone else can make you one for a few books it can’t be too hard. I consider myself a somewhat smart and savvy fellow so why not give it a shot. The worst I could do was blow up my computer, right? It was actually easier than I thought. YouTube has a creator panel you can use for free and once you start it is just a matter of trial and error and some patience. Also I am still working on this week’s new comic and hope to have up soon. Between this experiment and my mom spending time in the hospital this weekend I haven’t quite got it ready. WordPress informed me on July 4th that it was my second anniversary with them. That means I have now been blogging for more than two years. I am not sure what would have made me decide on the 4th in 2013 to start a blog, but I’m sure glad I did. I went back and looked to see and it was a Thursday. I know that Thursdays used to be my day off so maybe I was sitting home alone with nothing else to do and happened across someone else’s blog. I do remember seeing the “create a free blog at wordpress” slogan as what made me click and start, just not sure where I saw it. Since that first post on Okay, What if? about Facebook being created by aliens as a test I have spent a lot of time entrenched in this blogging world. The post was actually published on July 6th so today is my official anniversary as a published blogger. I guess it took me a couple days to decide if I really wanted to attempt it. Now I look back and think wow. I’ve posted dozens, maybe hundreds of short stories. I’ve dabbled in flash fiction, poems and had a lot of random thoughts. If I didn’t have this blog what would have happened to all these? Would they still be stuck in my head just screaming for me to let them out? I also think of the entertainment others have brought my way through the blogs. I’ve read at least as many enjoyable stories as I’ve written. I’ve learned things I would have never known without this world. The comments people share are always a joy to read and respond to. In addition to the blog but also because of the blog I now have a comic I add to every week and the start of a children’s book series with my first published work How I Met My Pet Dragon. All in all it’s been an exciting journey and a fun two years. Thank you wordpress for allowing me the opportunity and thank you to those of you who have helped me, showed your support or just give me something I could enjoy when I wasn’t working on my own projects. This ride is far from over. My ticket says I have a lifetime pass and I plan to use it until I am not able to do so, hopefully many, many years from now. Stay tuned. The Notorious JED is in the blog and hasn’t left the building just yet. More boring book details, But I’m excited!!! So I received my proof copy of my first book and all I can say is wow! I may be a bit biased, but dang it looks good. Cover is awesome, pages are the right thickness and quality. The pictures on the inside are impressive. I am quite pleased with the process of all this so far. Since I designed my own cover and did the illustrations it hasn’t cost me anything extra to produce the book. I already had the programs I used to create the comic each week and they worked for the book as well. Uploading to amazon was pretty painless and even the process of using createspace for the print on demand features wasn’t bad. I had to reformat a little and still wish I had made a full front and back cover (current one is front only, back is plain white) but it still turned out better than I expected. So I now hold in my hands an actual printed book filled with a story written by me that is available for purchase in printed or eBook format at amazon and other retailers, libraries etc. That just makes me smile and has me pumped to write out the next instalment and the next and the next. You know what would really keep all this excitement going for me though? If all those loyal followers and friends out there would hop on over to amazon and preorder the Kindle version that’s even free to borrow for Prime or unlimited members or go ahead and purchase the printed edition available now. Heck order a stack and give em to friends. I’m not asking much huh? Seriously though I appreciate all the support and the fun I’ve had through this process. Even if you don’t want to purchase you can take a quick peek at the book with Amazon’s look inside feature. Just check that out and tell me what you think. Won’t cost anything but a bit of time and you might help me keep my smile on.